Keith and Valeria Smith were brought back to Maryland by the Baltimore Police Department's Warrant Apprehension Task Force after being caught in Texas earlier this month while attempting to make a run for the Mexican border, authorities said. Keith Smith's brother, Vick Smith, told police that his brother told him that Jacquelyn Smith was talking about divorcing him, according to the arrest warrants. Vick Smith told police, according to the warrants, that he reached out to a close friend of his brother and told him that Keith Smith "asked him to get rid of Jacquelyn, which he interpreted to mean kill/murder her." Baltimore District Court Judge Joyce Baylor-Thompson called Keith Smith an "extreme flight risk" and an "extreme risk to the community." Keith Smith's attorney, Natalie Finegar, said the prosecution's case appears to be built on questionable evidence, including forensics she described as having "bad junk science potential." "Mr. Smith is always innocent until proven guilty and I haven't seen anything yet that proves him guilty," Finegar told reporters at a news conference Thursday. In the arrest warrants, Valeria Smith's involvement in the killing is described as being "an accessory after the fact in the murder of Jacquelyn Smith." Keith Smith, 54, according to his warrant, "did assault and murder" his wife, who was stabbed five times in the chest. Keith Smith told ABC News shortly after the killing that both panhandlers approached their car and the male panhandler stabbed his wife and snatched her chain as he and the woman were thanking her for the money. He said the woman panhandler reached into the car, grabbed his wife's purse and ran. "She was trying to help someone out," Keith Smith told ABC News in a Dec. 3 interview. "I think the reality is, we forget about the times that we're living in. You may have the best intentions on helping this person, but when you let a person get into your safe zone, you're actually opening yourself up to whatever this person has intended for you." Keith and Valeria Smith told police the killing happened as they were returning home from an American Legion Hall, where they had been celebrating Valeria Smith's 28th birthday, though records show her birthday is on Oct. 30. On March 3, Michael Harrison, acting commissioner of the Baltimore Police Department, said the story told by Keith and Valeria Smith "was not true." "These individuals took advantage of a situation, a city that is already dealing with its own problems," Pugh said earlier this month. "We're looking forward to this cruel act being brought to justice." Since his arrest, Keith Smith's criminal history has come under increased scrutiny. He pleaded guilty in 2001 to robbing the same bank in Timonium, Maryland, three times in nine months, according to reports obtained by ABC News from the Baltimore County Police Department. 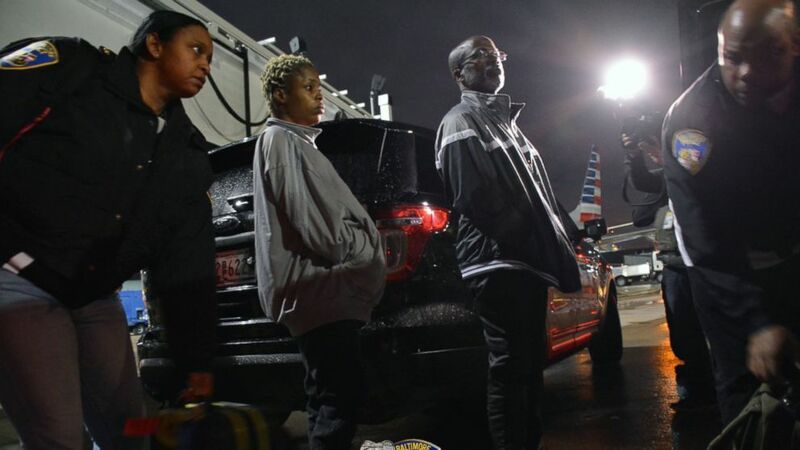 The father and daughter claimed Jacquelyn Smith was killed in East Baltimore, but none of the 27 surveillance cameras in the location they said the stabbing occurred showed the family's car in the area at the time of the homicide, according to the warrants. Cell phone records showed that at the time of the stabbing Valeria Smith's phone pinged in Druid Hill Park, northwest of where she and her father claim the stabbing happened. "While on the phone with the reservationist, Keith inquired about traveling to the Virgin Islands without a passport," according to the warrant. "The reservationist advised him that he could travel to the U.S. Virgin Island with just a driver's license." Computer records seized in the case also showed that Keith Smith conducted a search on whether a passport was needed to travel to Jamaica, and "if there is a way to cross into Mexico without going through the border," according to the arrest warrants. "Based on the results of this investigation and Mr. Smith's attempt to flee the country, the investigation has failed to provide suspects other than Mr. and Ms. Smith," detectives wrote in the arrest warrants.